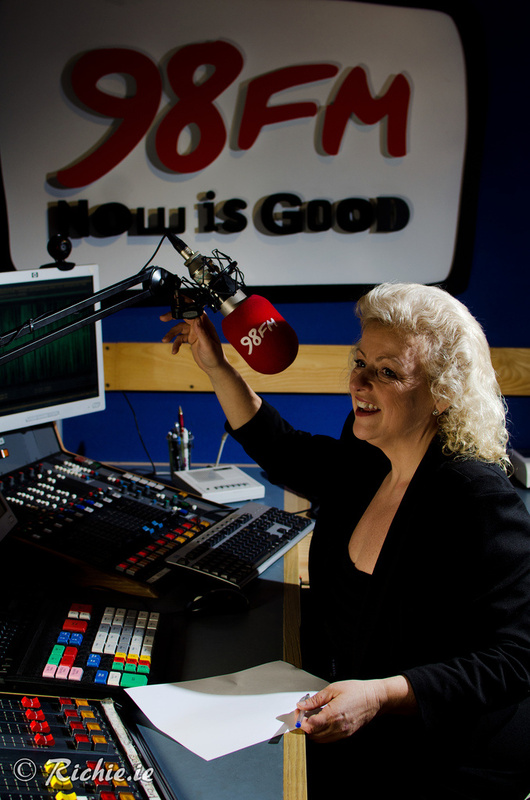 After 30 years of bringing news to Dublin, Radio Broadcaster, Author, TV Presenter and 98FM Head of News Teena Gates launches her new company: TEENA GATES – BROADCAST AND MEDIA TRAINER AND MOTIVATIONAL COACH. Teena Gates has spent a quarter of a century broadcasting, training, and mentoring the best news teams in the country at 98FM and this new departure is a natural progression for her. TEENA GATES Broadcast and Media Trainer and Motivational Coach offers targeted training in presentation skills, public speaking, journalism and social media. 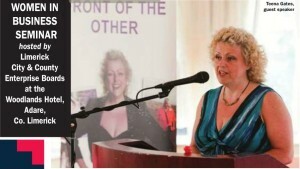 The popular journalist turned adventurer is also expanding her existing role as a motivational speaker – and is already much in demand to share stories of her success in losing 13 stone, battling serious health issues and climbing to base camp Mount Everest. From 2014 she will also accompany walking holidays with Travel Department as a motivational guide. Teena believes her experiences in training for and achieving her goals translate well to all walks of life: “We all have our mountains to climb, both at home and in business, and we are all capable of achieving more than we ever dream or imagine” she says. As a new generation of entrepreneurs embrace the opportunities of the future, Teena will encourage clients to discover within themselves the strengths and talents to succeed. 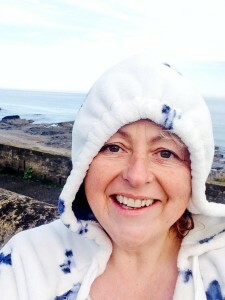 In the New Year Teena will be stepping out on her own as a trainer and motivator for both broadcast and corporate clients and she is delighted that Communicorp media group and Learning Waves Skillnet will be among her first clients. 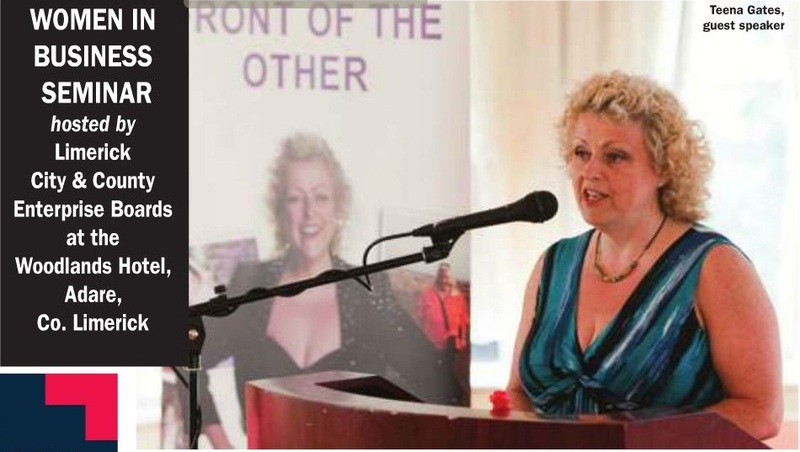 The Head of News at Dublin’s PPI Award Winning Newsroom will begin her new training career on January 1st with the launch of TEENA GATES – BROADCAST AND MEDIA TRAINER AND MOTIVATIONAL COACH. It was REALLY cold swimming in Malahide today. 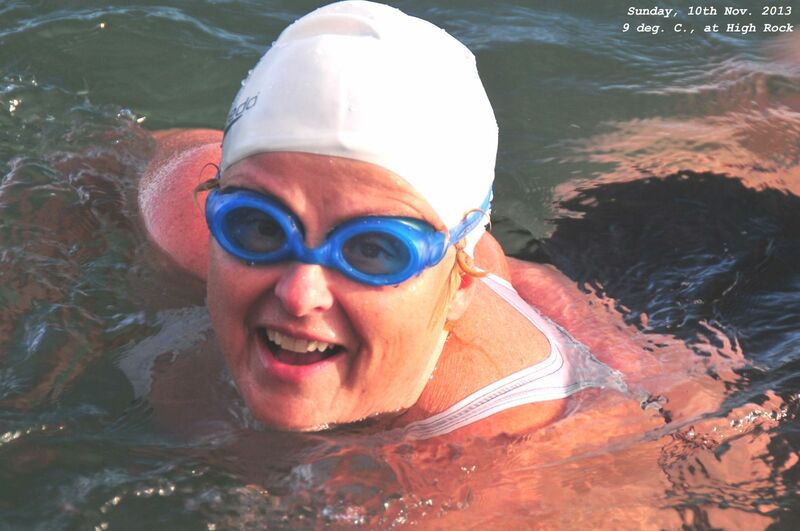 The Eastern Bay Swimmers were out in good force, but I was one of the last ones to edge my way down the ladder at High Rock. Dipping my toe off the edge of the ledge, I tried to convince myself it was balmy, but myself told me I was balmy instead! I tried today’s top tip of pushing off on my back, apparently it’s less shocking to your body. I can reliably inform you that it’s rubbish, it was still flaming freezing. Flaming catch your breath and try to force air into your lungs, freezing. I put my head down and swam like the clappers, hoping to warm up. Brain Freeze. My whole head ached, like the pain behind your eyes, when you eat an ice-cream on a warm summer day. Despite the icy cold, it was a beautiful day, blue skies, gorgeous flat calm blue sea, and bright sunshine. I swam into a sunbeam and told myself I was in France, striking out below the cliffs at Eze. Ahhhh.. dream on. I’d promised myself that I’d stay in for 10 minutes, so after 5, I turned for home and swam back but the tide was with me and I arrived back in a flash, so I swam around in large, lazy circles by the ladder counting down the minutes, but strangely, when the ten minutes were up, I didn’t feel so cold – so off I went again. The lads reckoned it was about 9 degrees today, and I stayed in for 20 minutes, which I was really happy with. I’m really hoping that I can swim the whole year around without a wetsuit, and now it’s well into November, I’d be very upset to give in so close to the end of the year. Fingers crossed and let’s see what it’s like next weekend. It was a busy weekend otherwise as well. I went ‘flying’ yesterday – yes, really, FLYING. That’s nothing to do with exercise, but if you want to check out how I got on, you can have a look at my FB photo album here: Limetree Airfield. Saturday I was back at Griffeen Parkrun and thrilled to see my time for the 5k improve from 44 mins to 38:53 this week. Absolutely delighted with that. I’m definitely going to keep running through the winter – and I’ve got the ‘Run in the Dark’ to do for Mark Pollock this Wednesday. Looking forward to that. I’ll be running and trotting, but it’s finishing that matters for me. My ‘Get Off The Couch’ buddies are coming too – still active, even after the cameras have stopped rolling – isn’t that great? Incidentally, Parkrun reported record figures last weekend with a spike in the number of ‘first-timers’ coming out to run the weekly 5k that takes place in parks all over the world at 0930 every Saturday morning. Isn’t it great if the ‘Get Off The Couch’ TV show is getting the message across, that sport isn’t just for ‘sporty’ – it’s for all of us! I’m back at the start line again. 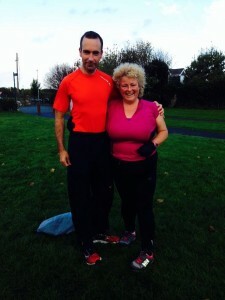 Last year wailing in despair over ‘just being brutal at running’ – I accepted the advice of amazing Irish Ultra Runner John O’Regan and joined Le Chéile AC in Leixlip, to learn to run properly. I’d already been told my knees were too weak to run, but to my regret, I just wasn’t content to leave it at that! Many times I wished I had, as I moaned and grumbled my way down to the track during the dark months of late winter and early spring, until finally the complaining eased up, and the pace picked up, and I finally realised I could kick a sprint at the end of a 5k with a grin on my face. I was dangerously close to reaching that holy grail of ‘enjoying a run’. In fairness, I didn’t slack off, but other challenges got in the way. I needed to pick up my kayaking skills for the Liffey Descent challenge that I was doing with Kayak champ Kipper Magure for the LauraLynn childrens’ hospice, and I needed to learn how to use a roadbike, after signing up for the KAR13 Killarney Adventure Race. 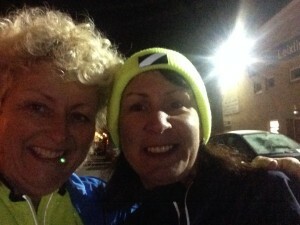 I had a great year, but the running just got put on the back burner – until the dark evenings started creeping in again, and the urge to hit the road returned from some dark recess of my mind…. Enter ParkRun. This is an absolute gem of an idea. Parkrun is a non-profit organisation which sees volunteers running 5k’s in parks all over the world, including here in Dublin, at 0930 on a Saturday morning. You register once and get a barcode, which you can then produce to run at any of the parkruns at any of the parks, at any of the venues in Europe or the US. You get a time too…. it’s free and it’s all great fun, with mixed levels; experts and novices and a welcome for all. I registered a while ago, but yesterday was the first day I had the courage to show my face. I turned up at Grifeen Valley Parkrun and set off, crawling home a tragic 44 minutes later which is the slowest I’ve been all year – but the encouragement and enthusiasm was brilliant, and as one of my mates pointed out – I couldn’t have even finished it at a walk a couple of years ago. The incredibly patient John O’Regan turned up on my last lap with some coaching tips. The man’s patience is astounding. I’m slightly embarrassed but enormously grateful that talented people like John can still make time to show me the ropes AGAIN. Ok as everyone keeps telling me, you haven’t failed if you’re still trying. You know, I said that to someone about 2 years ago, and the expression keeps following me around since then.